Capture this wonderful and fleeting time in your child’s life in an original and lasting heirloom portrait painting. Collectors of Rasche’s portraits are both parents and art connoisseurs. 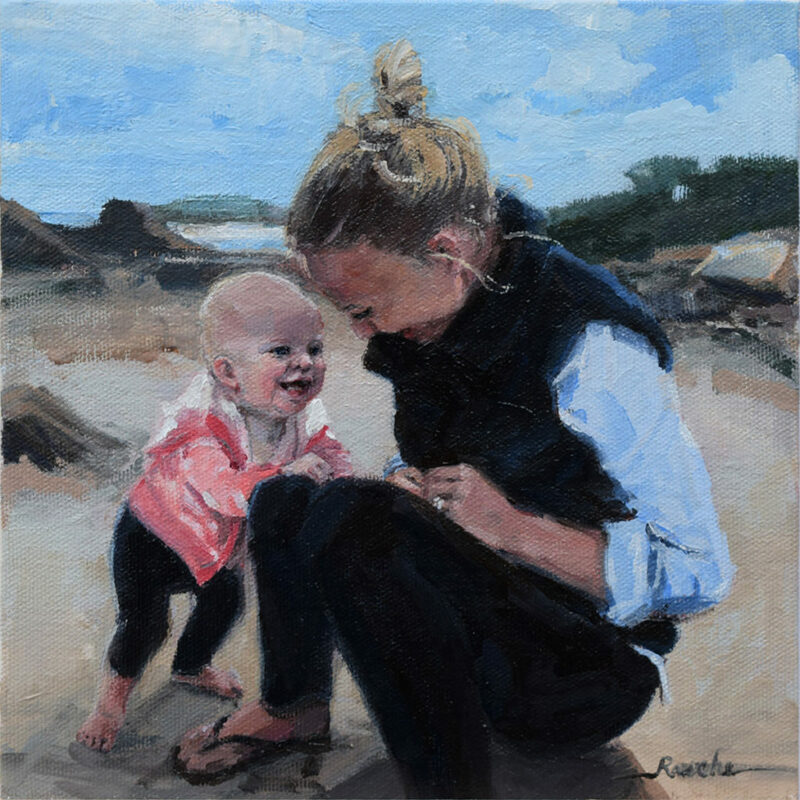 They hire Rasche as their portrait artist because they want to capture a delightful and fleeting time in their child’s life in a beautiful painting that will enrich their home. Jessie Rasche’s portraits capture the likeness of the sitter(s), their connection with each other, and their nature. Rasche is an internationally collected American Fine Artist based in the South Dakota, and serving Minneapolis as well as Sioux Falls and Brookings, South Dakota. 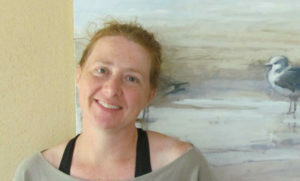 Her artwork is influenced by the masters of the American Renaissance and the great Impressionists. Free Consultation. The first step to hire a portrait artist is a free, casual meeting or phone conversation where you share your hopes for a painting and I share the options available. Contact the Portrait Artist to set up a consultation. I can bring paintings in a couple of sizes to help with decision making, and share any other information that helps in your decision making. If you choose to commission a portrait, a non-refundable deposit of 50% is due before the next step. Photos and Sketches. We meet, and I will paint a 2-3 hour color study of the sitter(s) and take photos to work from in the studio. For young children or people who cannot or do not wish to sit for the color study, I’ll take color notes to work from. Composition Review. We discuss the layout options and painting direction. I show collectors sketches to help with decision making. Painting. Work on the painting begins. 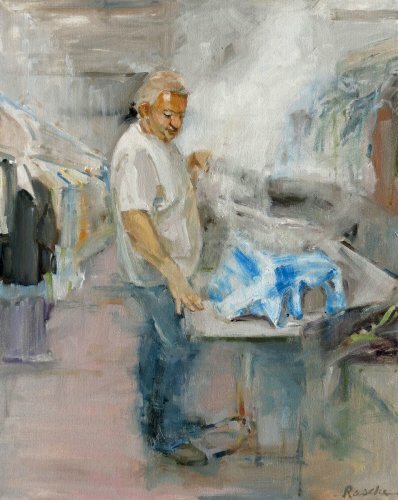 Collectors receive photo updates of their painting at every stage of the process and are welcome to visit the studio at any point to see their portrait in person. Collectors have the opportunity to approve the painting before delivery. Delivery. Your painting will be delivered or shipped as soon as it is dry to the touch. You now own an original, beautiful portrait. Varnishing. I am happy to varnish your painting after it has dried for the necessary 6-12 months. An original, one-of-a-kind portrait painting is an investment that will preserve a special moment in life for generations. Listed is the base cost of an oil portrait of one or two people on linen with a neutral background. Additional subjects and detailed backgrounds are an additional charge. Framing and travel outside the Brookings/Sioux Falls, SD area or the Minneapolis, MN area is an additional charge. Contact me with any questions or to set up a consultation. Corporate portraits start at $3,000 for a 16×20 in, and $8,000 for a 24×30 in portrait. I put my heart and soul into all of my paintings, and so far, all of my collectors have reported that they love their paintings when they are complete. 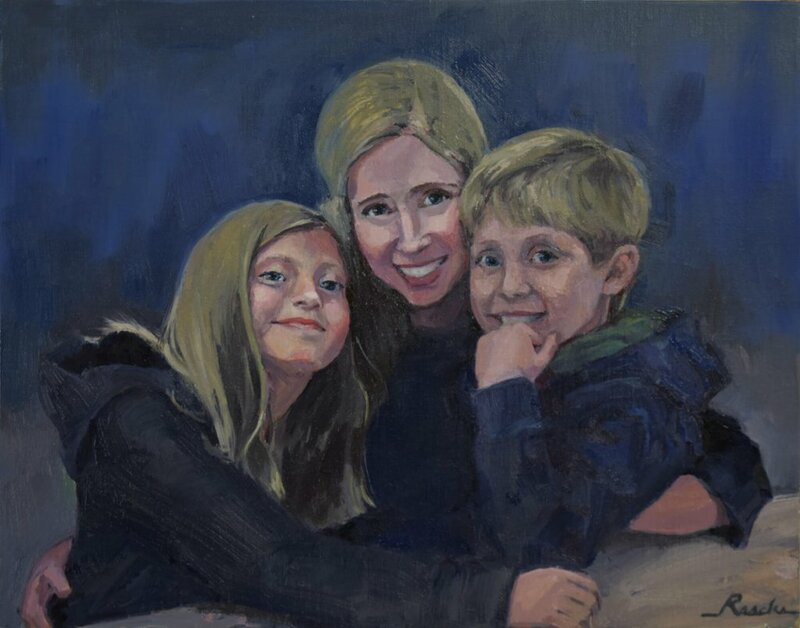 If, however, you are not happy with your portrait painting, let me know and we can talk about whether or not some changes to the painting would make you love it. I’ll either make changes or refund the payments you have made beyond the non-refundable deposit. I want each collector to love their painting, and will do what I can to make sure that happens! Still Need More Information before you Hire a Portrait Artist? Contact Jessie Rasche, portrait artist, with any questions. See more examples of portrait paintings. Read testimonials by previous portrait collectors.